Pre-dreadnought Gaulois. 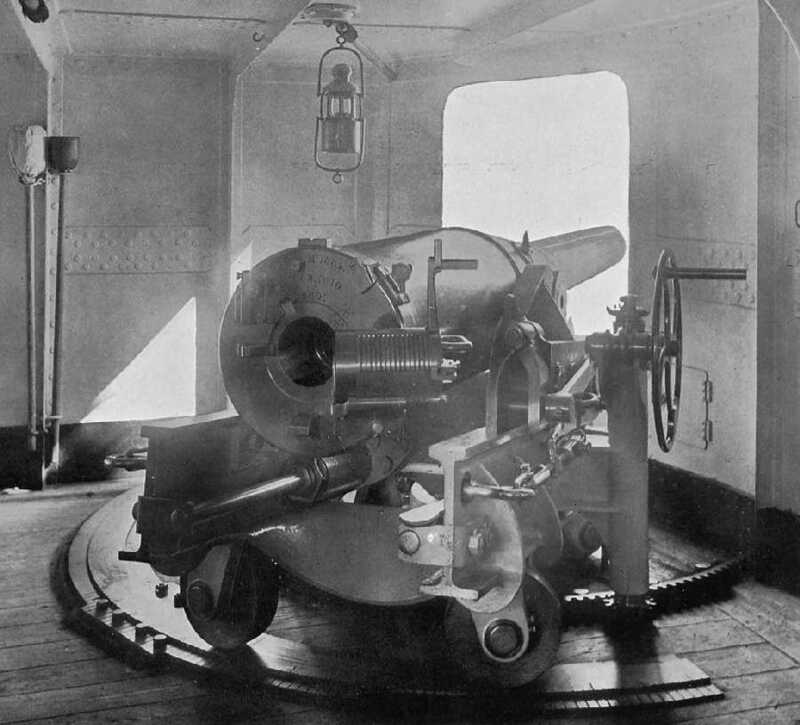 The 138.6 mm (5.46") guns are along the sides. 138.6 mm (5.46") Model 1884 gun modified to Model 1888. Note the four-motion screw breech. Photograph courtesy of Dave Perkins. Originally used as secondary weapons on ships of the late 19th century. In the 1930s guns removed from scrapped warships were reused on auxiliary ships. Construction was built-up with a screw breech. "Navy and Army Illustrated Annuals, Volume VI - 1898"